No matter what industry you’re in, there’s no hiding from the experiential brand revolution that is taking our global marketplace by force. In this video broadcast, hear keynote speaker Dustin Garis share customer experience strategy lessons from the world’s most innovative brands. You’ll learn why it’s important to “revolt against routine” to stay innovative and keep your organization moving forward. 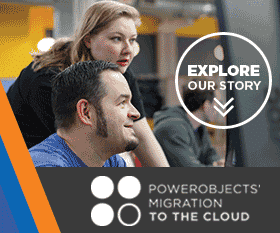 PowerObjects, an HCL Technologies Company is a leader in delivering Microsoft Business Applications solutions and the Dynamics 365 workloads through unparalleled offerings of service, support, education and add-ons. Multi-year winner of Microsoft’s Dynamics Partner of the Year Award, PowerObjects strives to be the number one Microsoft Business Applications Provider in the world by delivering solutions that help organisations increase productivity, streamline business processes and build better relationships.